Abu Dhabi: Abu Dhabi National Oil Company (Adnoc)’s plans to invest $45 billion (Dh165 billion) alongside partners over the next five years to create the single largest integrated refining and petrochemicals destination in the world at Ruwais will help the UAE gain market share dominance, especially in Asia-Pacific, experts said. 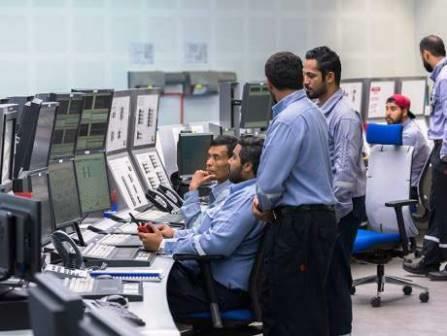 As per the plans unveiled by Adnoc last Sunday, refining capacity at Ruwais will be increased by 65 per cent or 600,000 barrels per day by 2025 with the addition of a third new refinery creating a total capacity of 1.5 million barrels per day. There are also plans to create the world’s largest mixed feed crackers, trebling production capacity from 4.5 million tonnes per annum in 2016 to 14.4 million tonnes per annum by 2025. Adnoc will also develop a new large scale, manufacturing ecosystem in Ruwais through the creation of a new petrochemical derivatives and conversion parks that will help in the manufacture of packaging materials, construction chemicals, oil and gas chemicals and coatings, among others. “Given the projected increase in demand for petrochemicals and higher value refined products, we are repositioning Adnoc to become a leading global downstream player,” said Dr Sultan Ahmad Al Jaber, CEO of Adnoc while speaking about the expansion plans of Ruwais refinery at Downstream Investment Forum in Abu Dhabi on May 13. The new strategy is expected to be positive for the company and also for the growth of the UAE’s economy, according to BMI Research, a Fitch Group company. In a note, it said that national oil companies throughout the Gulf Cooperation Council are moving downstream in order to capture lucrative refining and petrochemicals profits long dominated by private sector refiners in the US, Europe and Japan. “We look favourably upon the economic rational underpinning the programme’s feasibility in light of the availability of cheap feedstock in the country and a positive demand outlook for refined fuels globally,” BMI Research said. Justin Dargin, a global energy expert from Oxford University outlined a number of reasons why Adnoc is focusing on expanding its refining and petrochemicals business and undertake highly targeted overseas investments to secure greater market access. “Firstly, petrochemicals provide an avenue for economic diversification that simple oil and gas export do not allow. Secondly, there is less price fluctuation with petrochemicals on the global market when compared to volatility in the oil sector,” said Dargin. He also said the UAE has some of the lowest costs for associated gas recovery in the world which can be used as a feedstock in the petrochemicals industry to increase profit margins. Because of American petrochemical competition Adnoc wants to be well placed to compete on pricing and for global market share utilising the comparative advantage of low cost Emirati feedstock. “As a result of the shale gas production, American petrochemical production has increased to nearly 30 per cent of global production. US petrochemical also meets approximately 15 per cent of global demand. There are nearly 300 new petrochemical projects that were completed, based on shale gas, planned or started as of 2017,” added Dargin. US production is increasing very fast, may go above 11 million barrels per day before the end of 2018, which would take the US to the largest producer in the world.